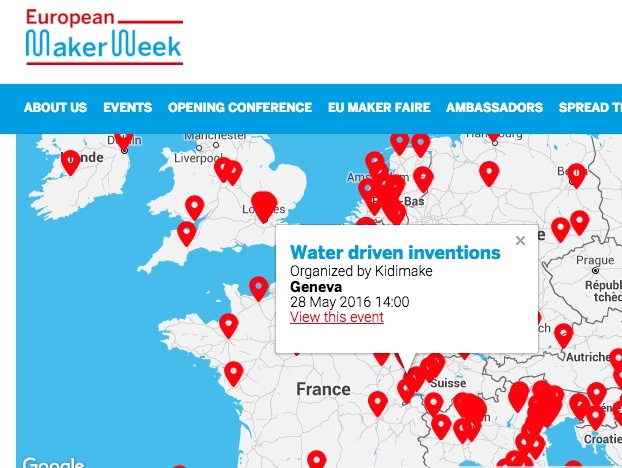 KIDIMAKE is part of the European Maker Week 2016 as an event organizer. Kidimake’s “Making Goûter” Water driven inventions is one of the 450 events that will be held all over Europe (16 in Switzerland). In our technological world, it is important for the younger generations to master the various digital tools available and to develop into actors rather than just technological consumers. The goal of this workshop is to propose to children aged 7 to 11 together with their parents, a taste of how digital tools can be used to develop their creative thinking abilities. 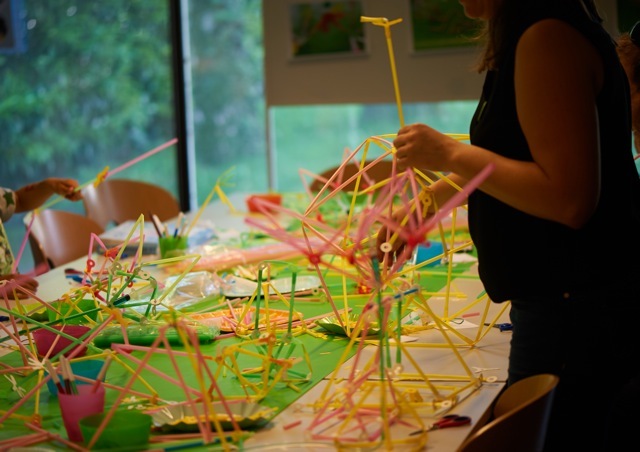 A wide set of activities ranging from 3D modeling with Strawbees, robotics, to water-powered inventions will be proposed in a “learning by doing” setting. No prior knowledge is required. Just come to discover, create, be amazed and learn with and by others! Date : 28th of May 2016, 14:00-16:30. As of today the event is full !